URGENT: 4:25pm If you are heading to Don Mueang airport this afternoon you should be aware protesters are planning to shut down the road. 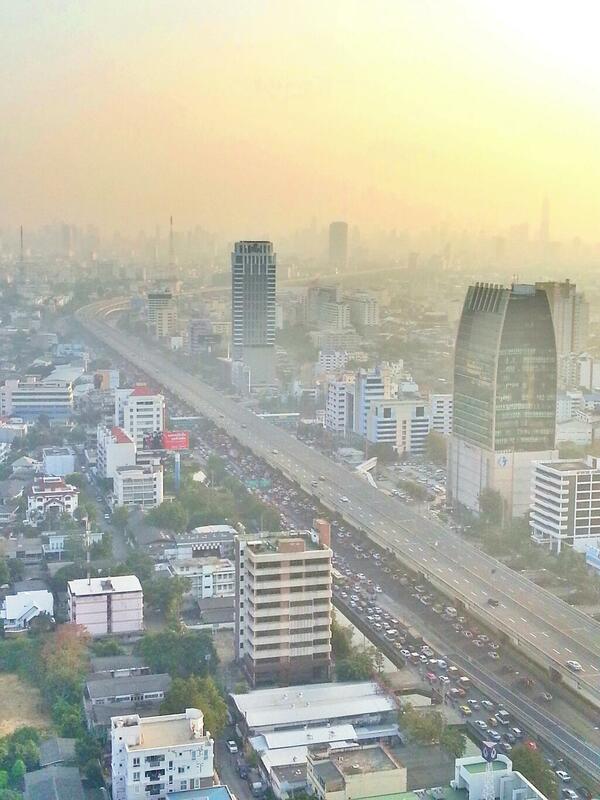 Traffic jam on elevated highway & I'm sure Phahonyothin will be jammed soon. If you're going to Don Mueang you need to leave extra early. I will call the wife tell her to come on the tollway. Thanks. 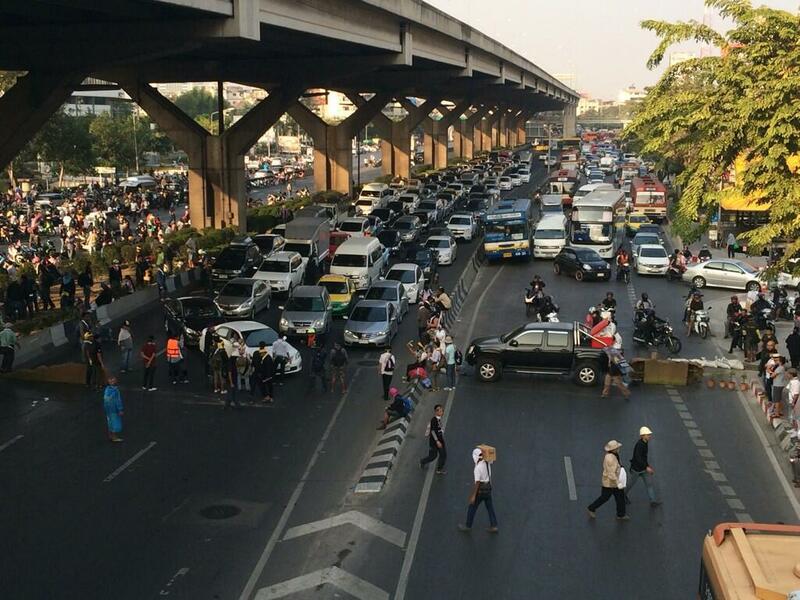 Richard Barrow ‏@RichardBarrow 2m Trying to get confirmation but looks like entrance to elevated highway to Don Mueang is blocked. Can anyone confirm? 5:10pm According to @Duensing_Kippen, the elevated tollway going towards Don Mueang airport is empty which suggests the entrance is blocked. Now its the in bound lanes as well according to a student of mine. Right now, they close inbound side too. Richard Barrow ‏@RichardBarrow 3m 5:20pm RT @fwille: For sure its blocked. I saw cars turning on the tollway. Bad situation for travellers going to airport. 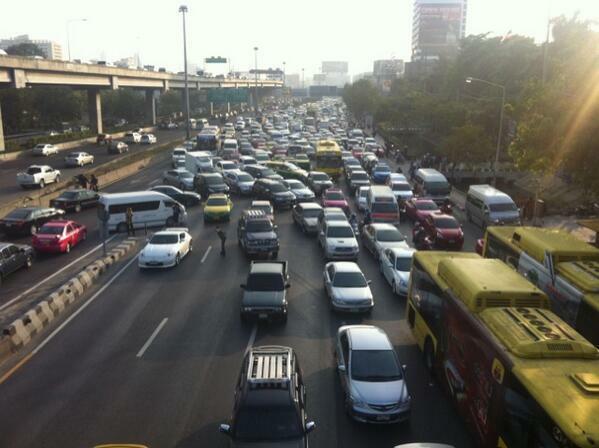 5:32pm RT @fwille: Don't use Ploenchit entrance to tollway. Blocked! Cant see the need for the protesters to close down the Airports. Jesus, so much other stuff they can do without foking up the Travelers. Things might kick off soon considering a Policeman has died earlier today and now their closing access to the Airport. Richard Barrow ‏@RichardBarrow 1m Not clear yet, but it looks like some of the protesters have decided to abandon the roadblocks. Even so, gridlock will remain for a while. All clear now , though some back log of traffic which will obviously take a while to clear . And since the precident has been set long ago Thailand simply takes another step to failed state status . think of all the missed flights with discount airlines. A lot of money will be lost. Makes people happy to come back again. 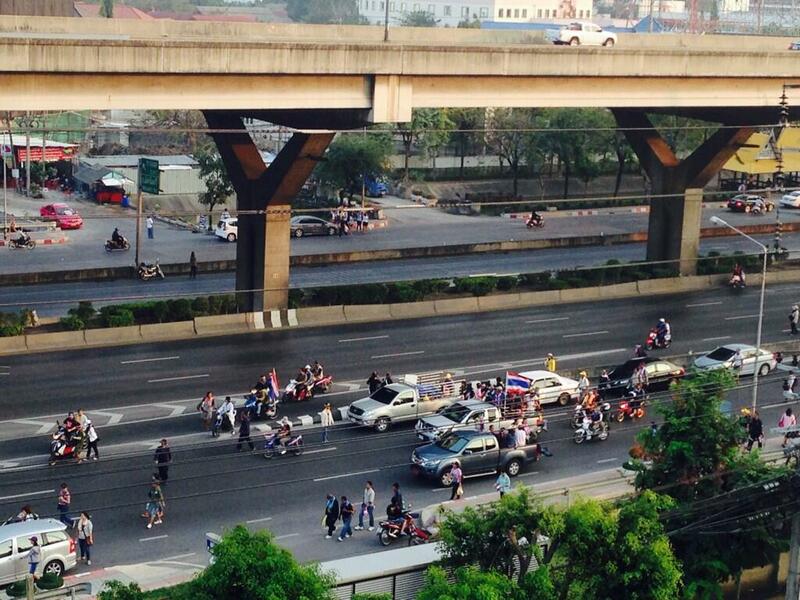 Thai Protests 101: Yellow shirt protesters close airports. Red shirt protesters raze shopping centres. think of all the missed flights with discount airlines. A lot of money will be lost. Yeah man, but think of all the sanook everyone will have with the days off because of it. ^You know what, I'm delving into a few policies to keep up to date, and I came across this. Bear with me - I know most know this , but rice is being bought at twice its value. At the same time, the money the farmers receive in loans which the government and people can't afford due to the simple basics of economics, then gets chided out of them for a shiny new car they can't afford.